Kombucha has a golden reputation in the beverage world. It’s everywhere: from supermarket shelves to workplace refrigerators and even on tap in cafés. As this fizzy fermented tea rose in popularity, so did claims of its health benefits, from improved digestion, metabolism, immunity, liver function, heart health and more. But are these claims backed by science — and is kombucha good for you? Here’s what nutrition experts have to say. Kombucha is a fermented tea drink made from green or black tea (or both), sugar, yeast and bacteria, and is believed to have originated in China about 2,000 years ago. 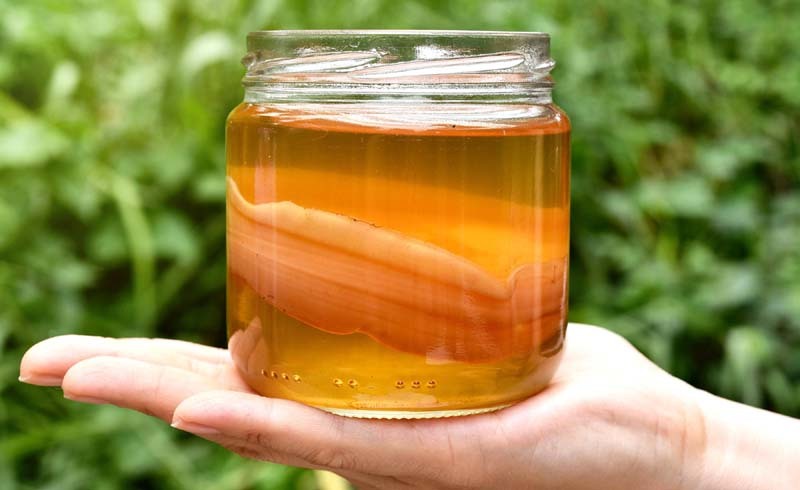 It’s made by adding a colony of live bacteria and yeast, known as a SCOBY (symbiotic colony of bacteria and yeast), to sweetened tea and leaving it to ferment for a few weeks until it turns into a slightly sweet, slightly tart beverage that’s separated from the SCOBY and bottled. Kombucha contains B vitamins, antioxidants and probiotics, but the drink’s nutritional content will vary depending on the brand and how it’s prepared, so you’ll want to read the nutrition label. Many store-bought varieties contain about 30 calories and 2-8 grams of sugar for every eight-ounce serving, according to the USDA’s food products database. While juices and sodas often contain far more sugar than kombucha, every gram of sugar counts. Is kombucha good for digestion? 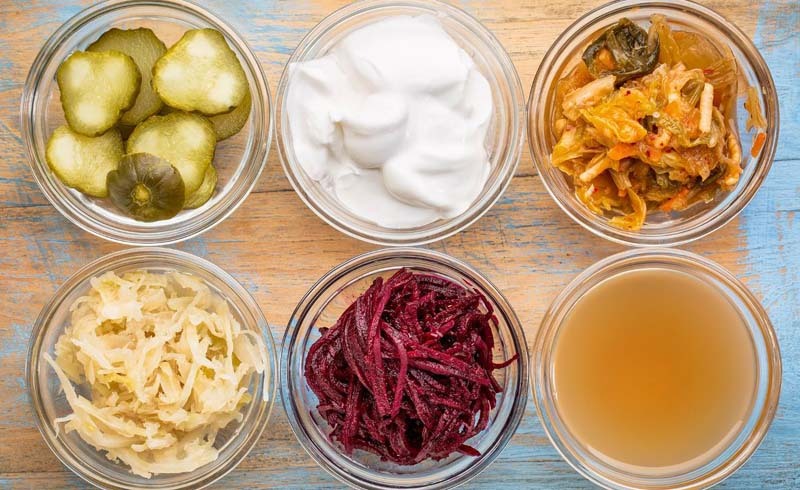 Foods that go through a natural fermentation process gain probiotic properties, and eating these foods may bring benefits like improved digestion and a more balanced gut microbiome. Many nutritionists believe kombucha may be beneficial to gut health due to these probiotics, though they say more research is needed. “Some sources claim that kombucha can positively impact gut health [by] decreasing inflammation and providing antioxidants because of the probiotics, however more research needs to be completed to confirm this claim,” says Tracy Lockwood Beckerman, a registered dietitian in New York City. Maria Zamarripa, a Denver-based registered dietitian, says kombucha and its beneficial probiotics can support gut health, but she stresses that the drink is not a substitute for a healthy diet. “Consuming a diet rich in fiber from fruits, vegetables, nuts and seeds is the most important factor in order to promote a healthy gut environment for these probiotics to flourish,” she says. Kombucha usually contains a bit of caffeine (since it’s made with tea), but the amount is small when compared to coffee, tea, soda and other popular caffeinated beverages. Typically, about one-third of the tea’s caffeine remains after it’s been fermented, which is about 10 to 25 milligrams per serving for black tea, says Colleen Chiariello, chief clinical dietitian in the department of food and nutrition at Syosset Hospital in New York. This is generally not enough caffeine to have an impact on most people, but the response can vary from person to person. How much alcohol is in kombucha? Kombucha’s acidity is potentially problematic, but further studies are needed to learn more about how the drink impacts oral health. “We can speculate that kombucha’s low pH, which is similar to that of soda, can have a comparable effect,” says Clarisa Amarillas Gastelum, assistant professor in the Department of General Dentistry at Stony Brook School of Dental Medicine. Low pH beverages may compromise the tooth enamel and increase the likelihood of tooth discoloration when drinking highly pigmented beverages, she says. But this doesn’t necessarily mean you need to ditch kombucha altogether. To protect your teeth, Gastelum recommends drinking your kombucha in one sitting rather than sipping throughout the day, using a straw and rinsing your mouth with water after finishing. Is it safe to drink kombucha regularly? Nutrition experts say it’s fine for most people to sip on kombucha every day, but to check with your doctor if you’re unsure about drinking it. Some recommend that pregnant or breastfeeding women and people with compromised immune systems should stay away from kombucha because the drink’s live bacteria could be harmful. U.S. Daily News: Is Kombucha Healthy?